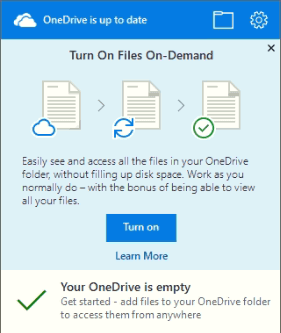 It is always good to configure OneDrive files on demand to simply download the relevant files from the cloud. This will save the time of syncing all the files down to the PC and is also a good one as all the files will be stacked at one place. This on-demand attribute usually saves the space on the PC. Since all the users frame files and then work on more than one device OneDrive is very helpful. In this way, the people do not need to worry about the storage space or working offline. This is so because working offline also all the files appear in the same way as online.